Imagine you’re at work, sitting in a conference room with a team of colleagues. You have just wrapped up a successful six-month project on time and under budget. The CEO is at the head of the table, thanking you for pulling together and doing an outstanding job. Smiles, laughter, handshakes and high fives abound. Your team’s positive emotional climate--the connection, appreciation, and collective pride among you--is undeniable. However, when the project first launched, you were the epitome of a low-performing team, and the future looked bleak. You were divided. Some were disengaged, freeloading or exerting minimal effort to deliver sub-par work, leaving the others to compensate for it. Communication was poor, conflicts frequent, and accountability lacking. Someone was always dropping the ball. So, what facilitated change and made building an effective team possible? It must have been a weekend retreat spent kayaking and building campfires together, right? Whether you’re building a team from scratch or seeking to improve teamwork in your organization, read on to learn what it takes to do it successfully. Now don’t get me wrong. Throughout my career in healthcare and marketing, lunch outings and happy hour with colleagues marked the beginning of some of my dearest friendships. These friendships undoubtedly made me happier at work and even led to other significant personal and professional connections (like the TRGV team). In fact, Gallup surveys consistently reveal a significant, positive link between having a best friend at work and employee engagement. Other research shows that even though workplace friendships can be a “mixed blessing,” negative effects like emotional exhaustion and distraction are generally outweighed by positive effects on job performance. Although I can personally attest to the benefits of taking respite from daily workplace stressors for team bonding, that’s definitely not all it takes to collaborate more effectively on the job. For instance, potlucks and birthday celebrations didn’t improve our healthcare team’s ability to coordinate patient treatment or manage interdisciplinary conflict when we got back to work. A study of a one-time team building retreat for nursing faculty proves another point. The researchers found that while job satisfaction and team cohesion improved after a day of obstacle courses, these positive effects were not maintained by the end of the semester. The authors therefore recommend that a retreat should be followed up with other team exercises to sustain positive outcomes. So, you may feel closer to Karen the Account Manager the day you jump off a waterfall holding hands, but come Wednesday, there she goes again, constantly interrupting you to invalidate your ideas at the next team meeting. And there YOU go again, resenting her and avoiding further interaction with her for the rest of the day. What, then, is the key to building a successful team in the workplace? Simply put, it’s relevance and reinforcement. Team building strategies should include ongoing training, coaching, and activities that are relevant to the team’s needs and reinforce effective collaboration in the workplace to reach clearly defined goals. Findings from a training program study at the San Francisco Veterans Affairs (VA) Medical Center illustrate that this approach works. The main goal of the program was to successfully transition medical staff into a team-based delivery system. To do so, the VA incorporated an ongoing “huddle-coaching” method. To help teams coordinate and improve patient care, trainees participated in ongoing interprofessional pre-clinic briefing meetings and coaching sessions that reinforced effective teamwork. The focus of the program was dynamic: structure processes with schedules, checklists and designated coaches; use team-building activities (including a retreat) to develop relationships; and teach core skills to facilitate collaboration. The results? Participants rated training sessions and team-building activities positively. Interviews conveyed that participants valued their team members and that efficiency and quality of patient care improved. Checklists and assessment scores confirmed progress in team processes and relationships over the course of the year. In conclusion, the huddle-coaching program was a worthwhile investment. By using a conceptual framework for guidance, the San Francisco VA Medical Center was able to design and implement a relevant, reinforceable team building plan that delivered bottom-line results. 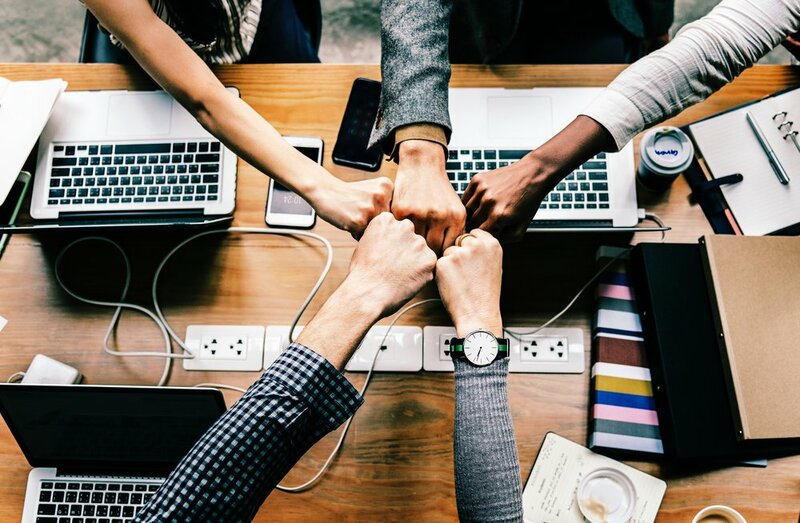 To help your organization do the same, you’ll need to address the key factors that impact team effectiveness in the workplace. A crucial aspect of any effective team building strategy is addressing the factors that directly affect relationships between team members and how they collaborate. Among these relational factors are professional hierarchy and power; emotional intelligence, communication, and behavior; and team roles and composition. Professional hierarchy and power. Hierarchy and power dynamics that exist between professions or among organizational levels have a significant impact on team relationships. Some professions are higher profile or have a higher socioeconomic status than others (e.g. physicians vs. allied health professionals). Within professions, leadership and supervisory positions are usually occupied by those with more experience or seniority (e.g. Marketing Director leading a team of managers and assistants). Those in higher hierarchical positions tend to have greater access to influential power in an organization. However, hierarchy can have either a harmful or helpful effect on teams depending on how that power is used (or abused). At its worst, hierarchy can adversely impact teamwork by making “subordinates” feel disempowered or even resistant to power structures, preventing them from sharing ideas with those of higher authority, participating in meetings, or engaging with other team members. Emotional intelligence, communication, and behavior. Emotional intelligence (EI) is critical to effective team communication and behavior. In fact, the World Economic Forum identifies EI as one of the top ten skills the global workforce needs to thrive in the future. Self-Awareness: awareness of your own feelings and how they affect decisions, behavior, and performance. Self-aware team members are present; those who are not are disconnected. Awareness of Others: the capacity to perceive, understand, and acknowledge how others feel -- what makes them feel valued, cared for, and understood. Those who are aware of others are empathetic; those who are not can seem insensitive. Authenticity: the ability to openly and effectively express yourself, honor commitments, and encourage that behavior in others--at the right place and time, to the right people. Authenticity is necessary for building trust among team members. Emotional Reasoning: considering your own and others’ feelings in combination with facts and technical information when making decisions, and then communicating that decision-making process to others. This enables team members to make expansive, creative decisions as opposed to limited ones based on facts only. Self-Management: managing your own emotions, mood, time, and behavior as well as continuously making self-improvement. Self-management allows for stress-management and resilience in the workplace. Positive Influence: using problem solving, feedback, recognition and support for others’ work to positively influence others. Leaders and team members with positive influence are able to empower and motivate others. The bottom line? Emotional intelligence has been linked to improved team performance, productivity, engagement, satisfaction, and retention (among other amazing outcomes). And the best part: the skills of EI can be assessed and developed. TRGV offers Genos EI assessments as well as emotional intelligence training, workshops and ongoing coaching. Team roles and composition. Can the team members clearly define their roles? Who is a leader? What is each person expected to contribute to progress toward the team’s goals? If any of the above is unclear, there’s going to be problems. Forming and maintaining distinct professional roles is one of the most important requirements for building effective teams. That doesn’t mean imposing limitations on team members to stifle their creativity. It means defining their core responsibilities so they have accountability and don’t step on each others’ toes. But keep in mind that in some cases, certain professions or roles might overlap or be outnumbered by others. Team size also makes a big difference. Larger teams may have a wider range of skills, knowledge and talent, but they’re also more complicated to manage, i.e. scheduling, task coordination, and arriving at a general consensus. There’s also the risk of the team dividing into sub-groups or cliques, so developing team cohesion should be a key goal. Process factors--including space and time, routines, and technology--relate to how the team carries out their interdependent functions in the workplace. Space and time. Where and when do the team members meet, communicate, and work? Shared space and time is beneficial because it supports team interaction and relationship building, but individual needs and obligations are equally important. Open workspaces foster collaboration but can be distracting. On the other hand, closed work environments offer privacy and improve concentration, but they can fragment teams. Firms like Cannon Design have addressed this challenge by engaging employees to design flexible workspaces based on their preferences--“neighborhoods” with various types of workstations and meeting spaces--that resulted in improved team interaction, satisfaction, and performance. Even if space modifications aren’t feasible for your organization, attention to time is essential to effective teamwork. Shared time should be productive and inclusive, not pointless and exclusive. Avoid team processes with unnecessary or redundant steps and approvals. Make sure meetings are relevant to each person invited and focus on useful training, problem solving or decision making. Keep individual workload and performance expectations in mind, and don’t schedule team activities that conflict with other time-sensitive responsibilities and personal obligations. Routines. When carrying out regular, interdependent tasks, teams can benefit from structure and organization. Preparatory and status meetings, step-by-step procedures, and checklists can provide teams with guidance and promote productivity and accountability. But take caution: Too much routine may suppress autonomy, creativity, and innovation. And routines are not always well-suited for handling unpredictable or complicated situations. That’s why, depending on the team’s needs and nature of their work, leaving enough room for flexibility is important. Technology. Ah, yes, the double-edged sword. Technology can be isolating and depersonalizing, but it can also do wonders for team communication, organization, and productivity. The trick here is to use technology to support and enhance human interaction rather than hinder or replace it. Beware of tedious tasks like seemingly endless emails and excessive manual data entry or reporting. Technology that increases administrative burden can rob teams of valuable time. Instead, employ technology that automates processes and unifies communication to make sharing and finding information faster and easier. That way, teams can devote more time to meaningful interaction and productive collaboration. Team building and collaboration is only as effective as the extent to which the organization supports it. If your organizational culture does not value and foster teamwork, you’ll need to address that first. To create an organizational culture of teamwork, executive leadership should exemplify it in how they interact with each other and others in the organization. They must emphasize how important teamwork is and make it perfectly clear to all employees that they expect collaboration in every department and process in the company. Any published list of company values should include teamwork. Exercise caution when it comes to rewards and recognition. Focusing on individual performance too much can be counterproductive to establishing a culture of teamwork. Rather, reward and recognize teams for their accomplishments more than those of individuals (that includes published success stories and case studies). In addition, use 360-degree performance appraisals that incorporate feedback from team members to underscore the value of collaboration. One final, key point: leadership buy-in for team building initiatives is a MUST. Allocate funding to ongoing training, workshops, coaching, retreats, and other activities that will help reinforce effective teamwork at every level of the organization. Considering the bottom line results, it’s a worthwhile investment. Lastly, consider the broader social, political and economic landscape when devising a team building plan. Do not make assumptions about specific team members based on stereotypes. The goal is to think about how their diverse backgrounds and experiences might impact teamwork so you can choose team building methods that help overcome differences. For instance, some team members might have a collectivistic cultural background, while others have individualistic backgrounds. Collectivistic cultures emphasize the needs and goals of families and teams, whereas individualistic cultures are more oriented around the self and value independence. Therefore, teamwork may not be as natural for some as it is for others. Here’s another popular example: generational differences. I’m not going to get into a long winded analysis on millennials and baby-boomers in the workplace (not in this article, anyway). The point is that you can plan team building methods that facilitate understanding between colleagues of different generations and teach them how to work together more effectively . By the way, this is where those retreats and fun outings I mentioned earlier can be helpful. They allow team members to get to know each other better and overcome their differences away from the pressures of the workplace. Just be sure it isn’t the only team building technique you’re using. Considering the numerous factors that affect teams, the task of developing and carrying out relevant, reinforceable strategies seems daunting, but it’s undoubtedly worthwhile. If your organization needs a little help along the way, discover how TRGV's effective team solutions can point you in the right direction. Dana Lisa Parker is a strategic consultant and content creator who helps healthcare businesses align all elements of the marketing mix to deliver exceptional customer experiences and bottom-line results. She has a Master of Health Administration, Six Sigma Green Belt Certification, and over 10 years combined experience in marketing and serving patients, families, and caregivers as a licensed Physical Therapist Assistant. Dana has proudly partnered with the TRGV team to extend their award-winning assessments and expertise on leadership, team building, and organizational culture to healthcare and other industries.